This phase of your pregnancy is like the calm before the storm. You might feel anxious at this time as you think any moment labour might begin. The placenta plays a major role before you go into labour. This triggers the hypophysis into action. 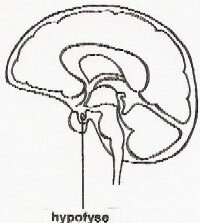 This is a gland in the brain that excretes a hormone oxytocin that enables labour to take place. 38 weeks pregnant – how is your baby growing? Your baby is now approximately 48 centimetres and weighs about 3150 grams. He is now complete and ready to be born. However he may choose to stay put for another few weeks. Most babies are born between 38 and 42 weeks. Your baby is now growing at a rate of around 20 grams per day. This allows for an extra store of fat which is lost during and after the delivery. After 2 weeks following delivery most babies have regained weight back to their birth weight.